After winning the Kentucky Derby, Orb immediately became a favorite for the Preakness, and a potential contender for the Triple Crown. Joel Rosario atop Orb celebrates after winning the 139th running of the Kentucky Derby at Churchill Downs. 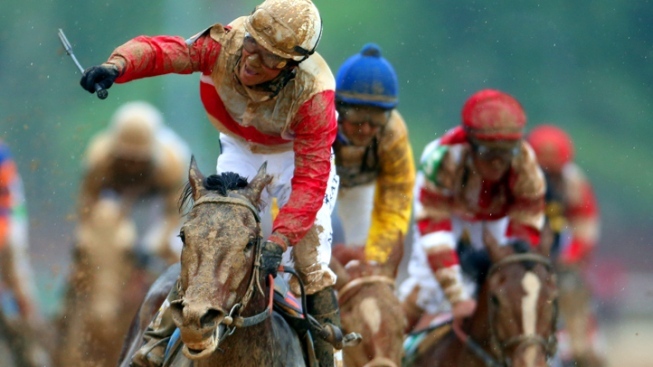 Odds-on favorite Orb won the 139th Kentucky Derby on Saturday, lingering in the back of the pack for much of the race before dashing through the mud to take the lead down the final stretch. The winning colt, ridden by Joel Rosario, entered the Derby as the morning-line favorite, fell in early betting and then returned at the last minute at 5-1. With the win, he becomes an automatic early favorite for the Preakness, and a potential contender for the Triple Crown, which culminates with the Belmont Stakes. Orb finished the 1 1/4 mile race in 2:02.89, followed by Golden Soul, a long shot, and Revolutionary, Orb's top rival, who entered the race at 6-1. "Oh my God, this is awesome, you know. This is like a dream to me," Rosario said after claiming his first Derby victory. "He was so far behind, and I just let him be calm and let him be relaxed, and he was able to do it all. He was very relaxed, which was exactly what I wanted. "It was the perfect trip." Orb was the first morning-line favorite to win the Derby since Big Brown in 2008, and only the seventh since 1974. The race began at a torrid pace despite sloppy conditions created by a daylong rain. Palace Malice led for most of the race but faded on the final turn. Normandy Invasion took a brief lead down the stretch, but Orb surged ahead as he made his move from the back of the pack. Orb's trainer, Claude R. "Shug" McGaughey III, won his first Derby in 34 years in the business. "I'm thrilled to death for (the owners), thrilled to death for the people who put so much time into this horse, and, of course, I'm thrilled to death for me," he said, according to the Associated Press. Orb is owned by Stuart Janney and Dinny Phipps. See how one New Yorker is planning her outfit for the Kentucky Derby with the help of Linda Pagan, owner of The Hat Shop. 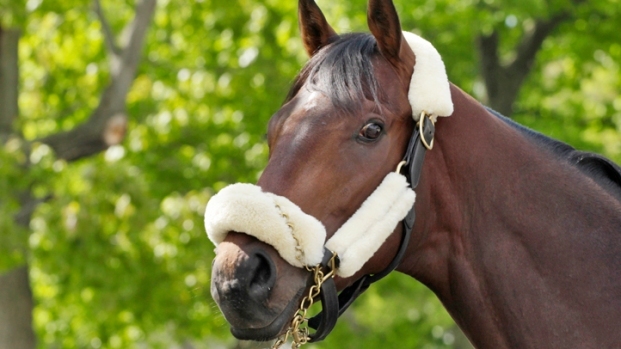 The total purse for the Derby was more than $2 million, $1.4 million of it for Orb. Saturday's steady rain in Louisville turned the Churchill Downs dirt track into a muddy glob, and the stands into a sea of colorful ponchos—and, of course, hats. Revolutionary had been bettors' favorite for much of the day, but in the moments before the race a seven-figure surge of wagers pushed Orb to 5-1. Verrazano, who'd been touted as a top contender for weeks, finished 14th. Another highly admired horse, Goldencents — whose jockey, Kevin Krigger, was trying to become the first black to win the Derby in over a century — came in 17th. A second jockey running for history was Rosie Napravnik, who lost her chance to be the first woman to win the Derby. She ended up in 5th aboard Mylute. Even still, that finish was the best ever by a female jockey. Josh Kleinbaum and Patrick Hickey Jr. contributed reporting.